Handcarved out of Indian Rosewood & Decorated with Brass Handles. 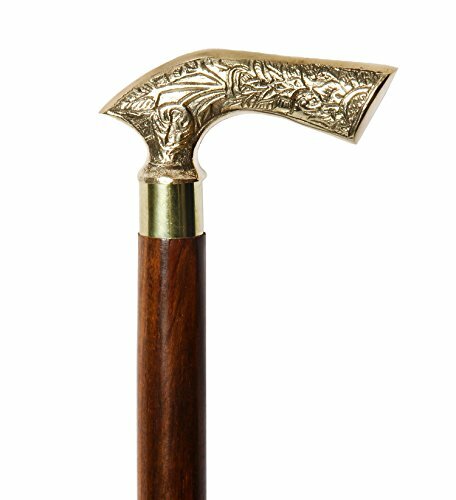 This sturdy walking cane is sure to be a conversation piece at your next event or fun gathering. T Shaped Heavy Brass Handle. Even if kept casually in a corner, these sticks add class in the ambiance. If you have any questions about this product by Icrafts India, contact us by completing and submitting the form below. If you are looking for a specif part number, please include it with your message.